Oriflame, Maybelline, Lakme, MAC, Bourjois, L’Oreal and Lakme. Cream based foundations are in demand. Cream based foundations have a thicker concentration. It is easy to apply and it blends easily. There are different types of cream foundations such as powder, liquid, and cream based are available in the market and of many varieties. Dry skin immensely benefits from cream based foundations because they hydrate and also add a dewy feeling to the skin. People who are suffering from lines and wrinkles also benefit from such a product owing to its properties of covering the imperfections better than liquid or powder based formulas. Tone, Moisturize and cleanse your face to make it ready for the makeup. Take some Cream foundation on a damp makeup sponge for application. Starting from the area near the ear and moving to the jawline apply little layers of the foundation and blend it in downwards. Keep blending in along the jawline and the hairline for a natural look. Use your fingers to apply pressure gently to blend. In the end, apply some powder to keep it matte. 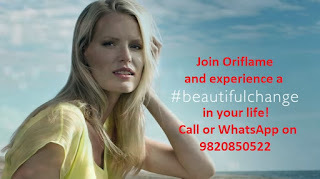 I am a Oriflame consultant at Gold Director level and I have used hundreds of Oriflame products including a variety of foundations so let we start this list with Oriflame foundation. But let me tell you that all of these 7 foundation creams are great! Check out the review of Oriflame Giordani Gold CC cream SPF 35 light by Ritu Saha and do subscribe to her channel! An affordable mousse foundation that gives a medium coverage. This mousse foundation is also perfect for oily skin as it can keep control of the oil secretion. It keeps you matte for 16 hours. It is a cream compact, which requires a wet sponge when used. It thus offers results in balanced coverage. This foundation gives great coverage and comes in many shades to suit the skin care needs of Indian women. An excellent choice for a mineral matte cream foundation that gives excellent coverage, and is moderately priced. 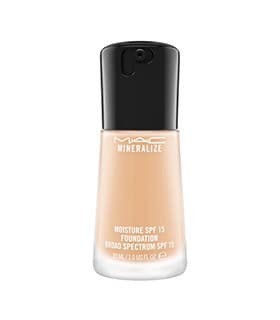 This is a good cream foundation that offers excellent results without much effort. This is an affordable product offering great coverage that lasts all day and comes in many skin tones. Also, avoid using if the skin shows allergic reactions. But otherwise, this matter foundation skin for oily skin is a perfect choice.